It has been said that it’s disrespectful to challenge the official account of 9/11 around the anniversary. On today’s show you’ll hear from two family members who have fought for the truth or what happened on 9/11, and you’ll about the new Bobby McIlvane Act being presented to congressmen and women. Featured speakers: Family members Patty Cassazza & Bob McIlvane. This show was broadcast on November 2, 2017. 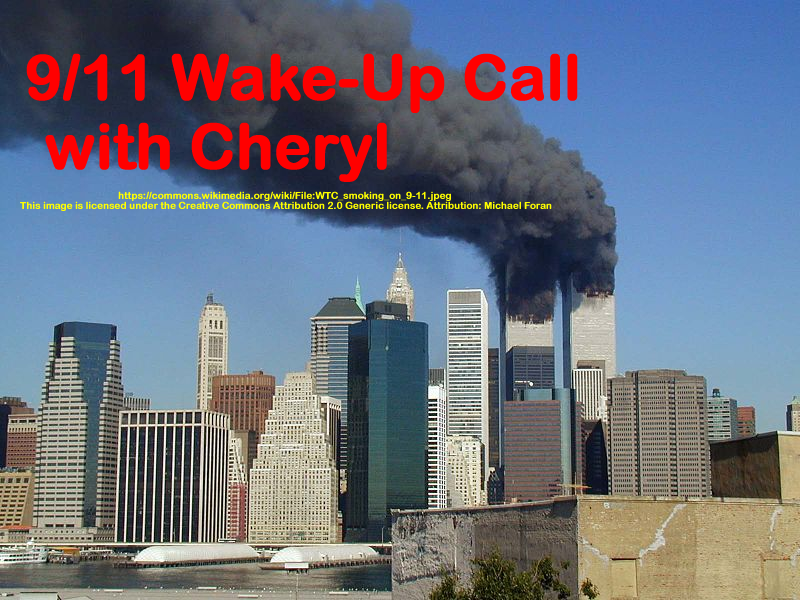 This entry was posted on Wednesday, November 1st, 2017 at 8:15 pm	and is filed under 9/11, 9/11 Wake Up Call, Education, False Flag/Fake Terror, Freedom, Justice, Law, News, People, Protest. You can follow any responses to this entry through the RSS 2.0 feed.